If wildlife is what your after, this is the home for you! Deer, wild turkeys, birds, bunnies, and bear frequent this home, sometimes daily. The small creek meandering through the trees is the perfect spot to settle in with nature. This newly remodeled home is ready for you and it is only going to get better. Often less is more and in the simplistic flavor of this home you can relax, breath, enjoy space, time, family, and nature. 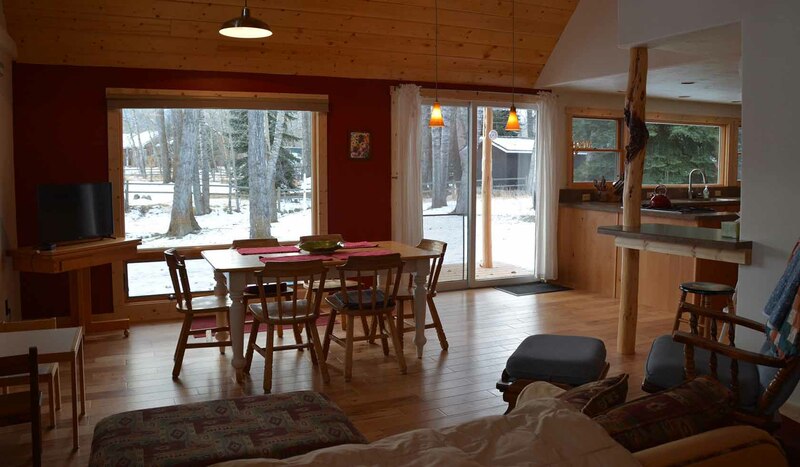 The Chickadee Chalet is located in the town of Red Lodge yet is in a private setting. It offers three bed rooms each with a queen sized bed, a half bath upstairs and a three quarter bath downstairs. There is a roomy loft area with a crib in case you have a little one. Please note there is a Smart (internet) TV at this property. You do need your own account (Netflix, Hulu, etc.) to watch TV. There is a DVD Player.